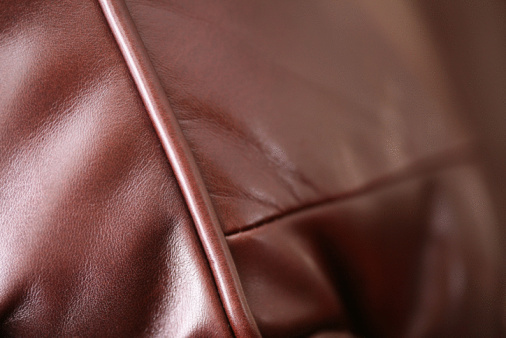 Leather is a common upholstery choice for sofas, but they cannot be cleaned using standard upholstery cleaner because this can cause damage to the leather. Pet hair that comes into contact with a leather couch will likely gather in the corners and crevices of the furniture, beneath the cushions. If you need to remove pet hair from your leather sofa, there are a few techniques you can use to make sure all the pet hair is removed. Pet hair does not stick to leather material, but gathers in clumps on corners. Remove all decorative pillows and cushions from the sofa. Wipe the cushions with a soft cloth. Use the hose attachment on a vacuum to remove clumps of pet hair that have settled in corners and cracks of the sofa. Roll a lint roller over any cloth areas of the sofa. Place the cushions back onto the couch. 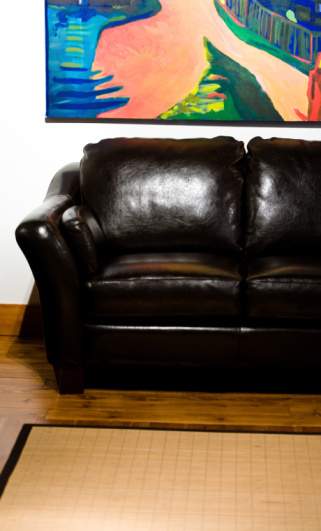 Apply leather cleaner to a soft cloth and buff it into the leather part of the sofa in small circular motions. Once the cleaner has been massaged into the leather, wipe away any excess cleaner with a dry soft cloth. The leather cleaner will condition the leather and allow it to continue to resist pet hair buildup.